A terrible crime committed twenty years earlier sends a good natured, but inept, misfit named Dwight (Macon Blair) on a bloody quest to murder a recently released convict named Wade Cleland. As the story of BLUE RUIN unfolds, we learn why this seemingly gentle outcast is compelled to become an instrument of vengeance, and we witness the heavy price one must pay when choosing to travel that road. 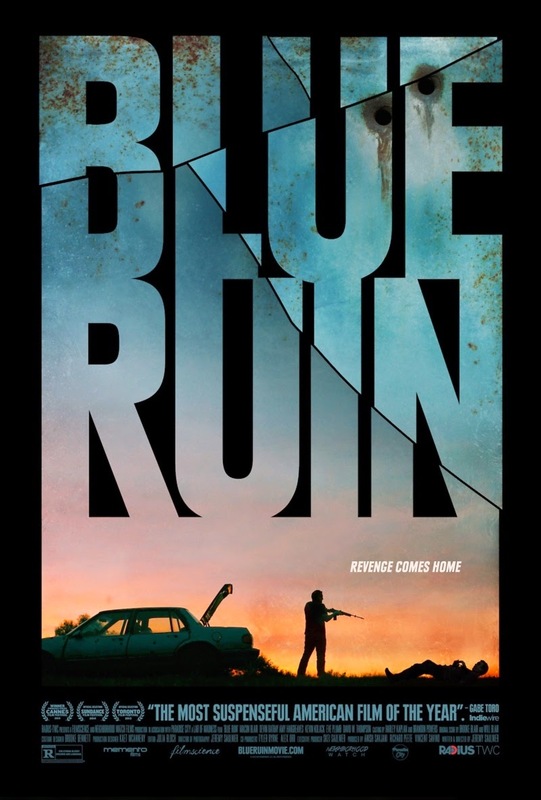 BLUE RUIN can be viewed as a sort of anti-DEATH WISH, where instead of cheering for our hero's righteous mission, we cringe and wince with every mistake he makes, and share his sense of horror that each act of violence only leads to more violence. And while a dark, low-key sense of humor arises throughout, the film portrays its acts of violence with a disturbing and grim intensity. Macon Blair is nothing short of astonishing as the passive beach bum turned bumbling assassin, and its hard to see any "acting" in his performance -- he IS Dwight. The supporting cast is very good, as well, but it's Blair that gives the film its soul. Beautifully photographed, written, and directed by Jeremy Saulnier, this is the kind of movie Hollywood should pay attention to. It's not afraid to be quiet, nor does it need enormous amounts of exposition to tell its tale. With a paltry budget of $400,000 (part of which was crowd funded on Kickstarter), Saulnier has crafted a haunting, intelligent, and moving revenge story unlike any other. BLUE RUIN is the kind of movie that makes me excited about film again, and I eagerly await Saulnier's next project.